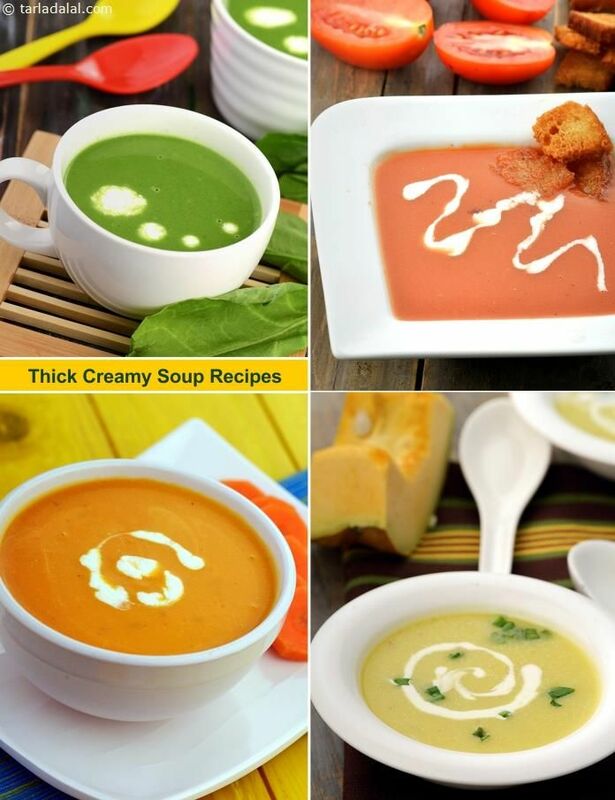 Thick and creamy, these soups are very satiating and comforting – almost like a meal if had in substantial quantities. While these soups were traditionally thickened using corn flour, now there are myriad options like thickening with plain flour, powdered oats or cream, each offering a different flavour and texture that will please your palate. Revel in the rich flavour and mouth-feel of choices like Sweet Corn and Spring Onion Soup , Cream of Potato Soup, Black Bean Soup and Cream of Spinach Soup. One of the most delicious ways to serve spinach... so tasty that everybody right from kids to senior citizens will slurp it up! Luscious to the core, the Cream of Spinach Soup features a blend of spinach, onions and chillies combined with white sauce and fresh cream, all of which gives it a milky flavour and rich mouth-feel. Keep some aside for you in the kitchen, or there won’t be a drop left in the bowl.